After a long day of sun and beach, hiking or shopping, there is no better way to wind down into the evening, than with a special cocktail, enjoyed while soaking up a sunset view of the Mother City. But where to head to capture a technicoloured sparkling sea view or mountain, while sipping on something equally as colourful and fun? Our favourite sundowner hotspots are detailed below. Take advantage of the extra rays and make cocktail hour count this summer. 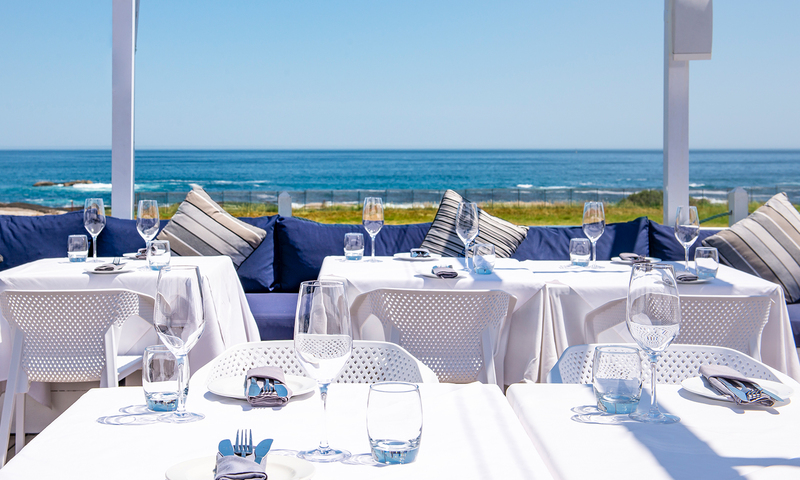 Set in a restored boathouse on a private beach in Granger Bay, The Grand can be found on the seafront shoreline and flaunts majestic views of Table Bay and Robben Island in the distance. Dip your toes in the sand while you sip on one of their specialty cocktails, before nabbing a spot on the deck for some alfresco dining. No need to bring your dancing shoes, but that is not to say you won’t leave without a whirl on the sandy floor, as the slow-motion rendezvous continue late into the night. Make sure to book as they are popular! 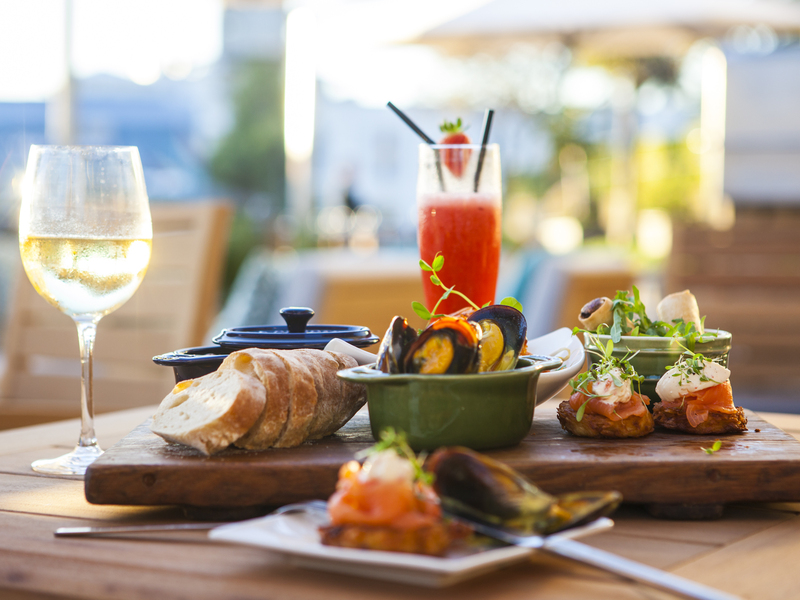 A newcomer to the V&A Waterfront’s bustling restaurant scene, La Parada V&A Waterfront offers some hot harbourside action. 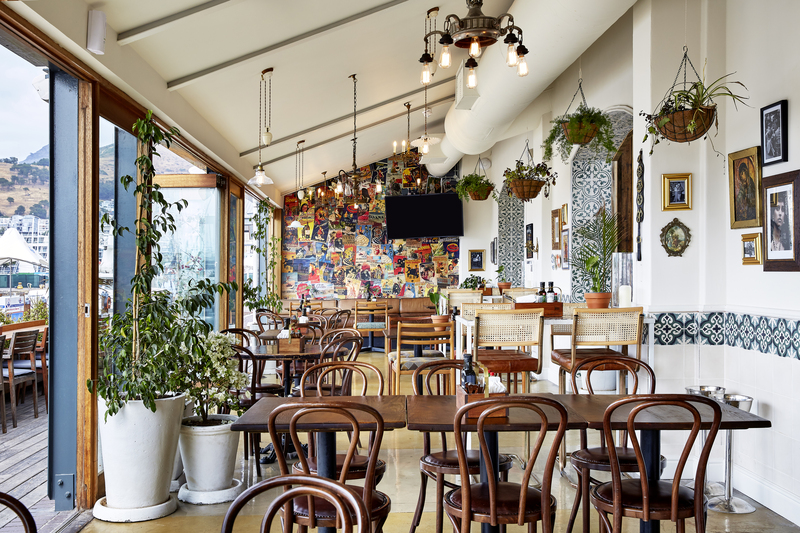 The Spanish-style tapas joint (with well-loved openings on Bree St and on Constantia Nek) boasts some exquisite views of Table Mountain, and the buzzing marina, energised by visitors passing by. We love their fresh take on decor, the double volume space, and exotic plates made to share. Cocktails are listed under House Favorites, Classics, and Frozen, so you might need to try one from each section just to be sure. If you plan on staying to dine, the Tuna Tataki is fresh and moreish, while the mains include hearty cuts of meat, seafood, and salads with twists. The dramatic views of the Twelve Apostles alone make visiting The Lawns at the Roundhouse worthwhile. 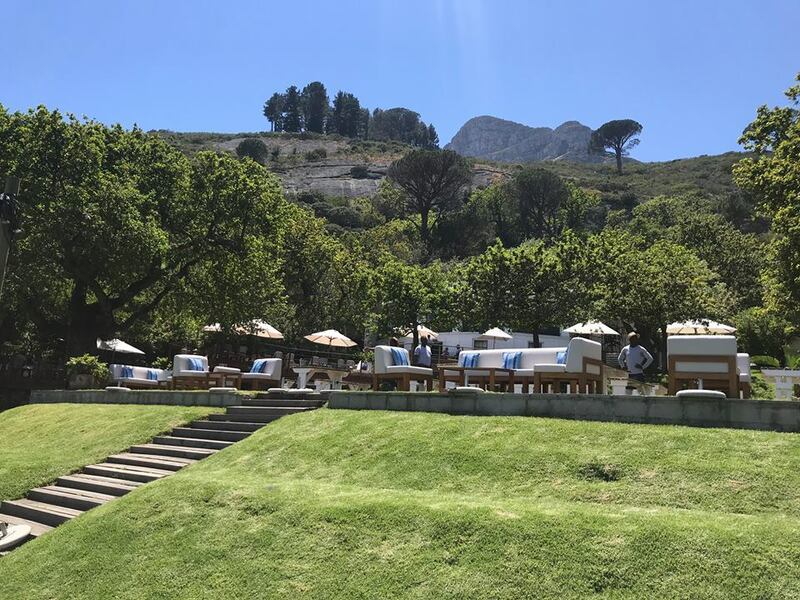 The historic site (once home to a famed general’s hunting lodge) is nestled alongside Table Mountain and conveniently protected from the wind. Throw a G&T into the mix and you might never want to leave Cape Town. Book a picnic table, or kick back with a couple of salads, casual pizzas and rosé during the summer and enjoy the sky turning from blue to glorious shades of pink and orange. The relaxed atmosphere is perfect for groups, families and couples. 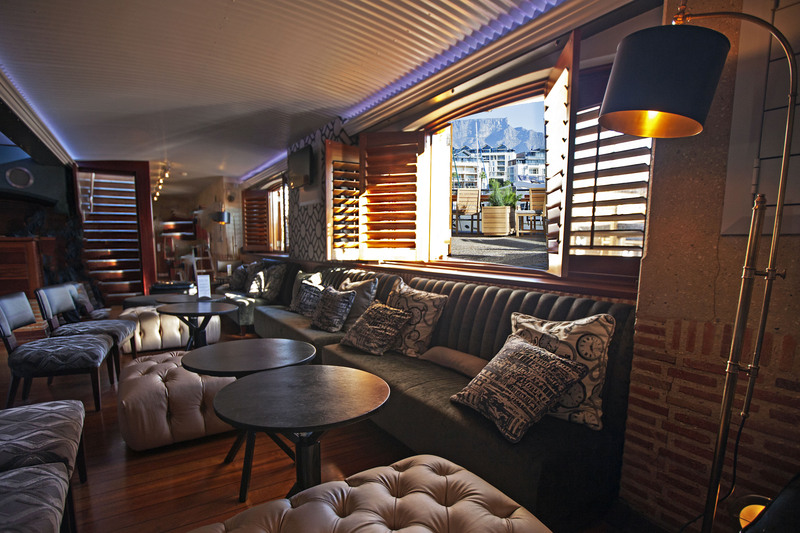 Poised on the water’s edge of the V&A Waterfront yacht marina, Bascule’s breathtaking views are rivaled only by their array of over 400 whiskeys from around the globe, together with their exceptional selection of the Cape’s most sublime wines and award-winning cocktails. 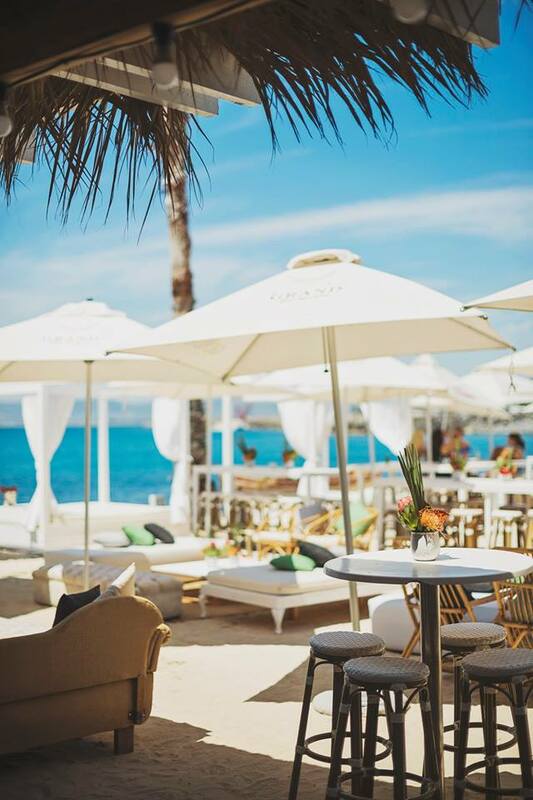 By night the space is transformed into a lively bar, where connoisseurs and social butterflies gather to enjoy sundowners and lively music, savouring specialty drinks and tasty tapas dishes as the sun dips beneath the waters’ horizon. If you’re feeling peckish, order the salt and pepper squid, or smoked ostrich, just two of the delectable tapas on offer. If you are seeking something a little heartier, The Bascule Specialty dish is a melt-in-your-mouth Wagyu Beef Burger and the stuff of legends. Wedged between a buttery brioche bun, it is guaranteed to leave you smiling in satisfaction. Bascule also offers bespoke whiskey tastings and flights, so if you do enjoy the dram, ask the friendly mixologists about booking an experience. 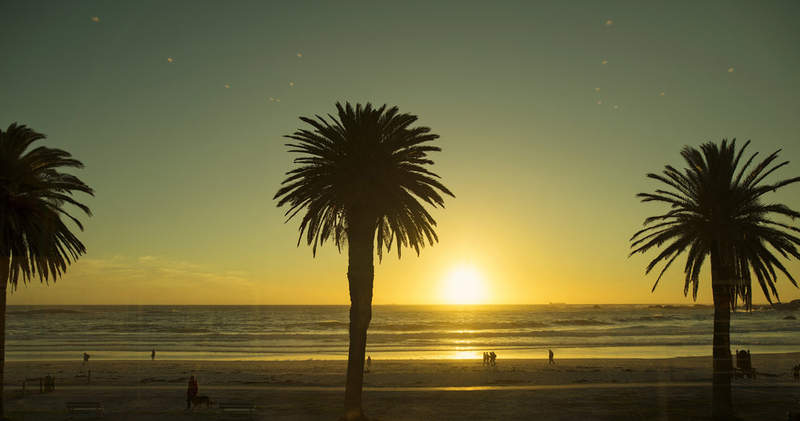 Pack a picnic and head down to Camps Bay or one of Clifton’s four beaches to watch the fiery orb dip below the water, while you dig your toes into the soft, paper-white sand. 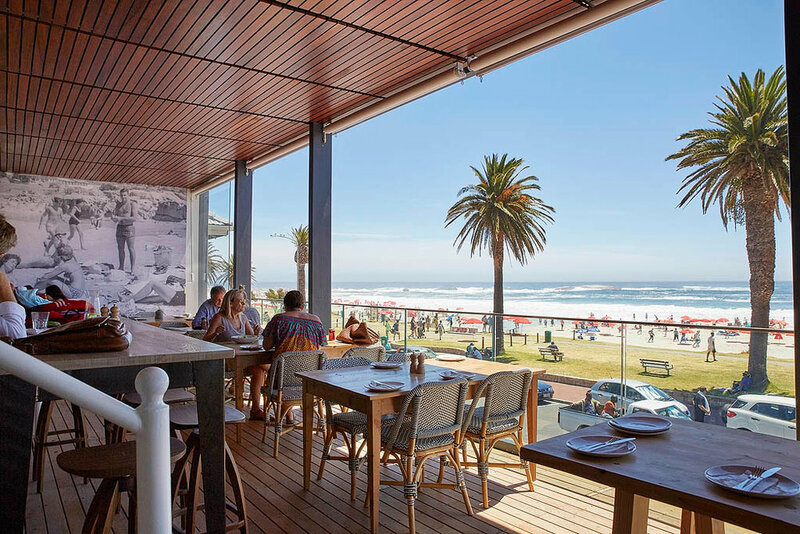 Alcoholic beverages are prohibited, but there are plenty of vibey spots along the Camps Bay strip, so head there for a refreshing post-sunset cocktail and a view of the waves crashing along the palm-lined shore. The Bungalow is iconic, but not quiet, and great for sushi and a glass of bubbly if you’re up for mingling with the ‘bronzed and blonde’. If you’d prefer something more subdued or laid-back, make your way to Mantra for a Citrus Gold cocktail (made with local gin) and a slice of their crispy pizza.